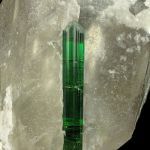 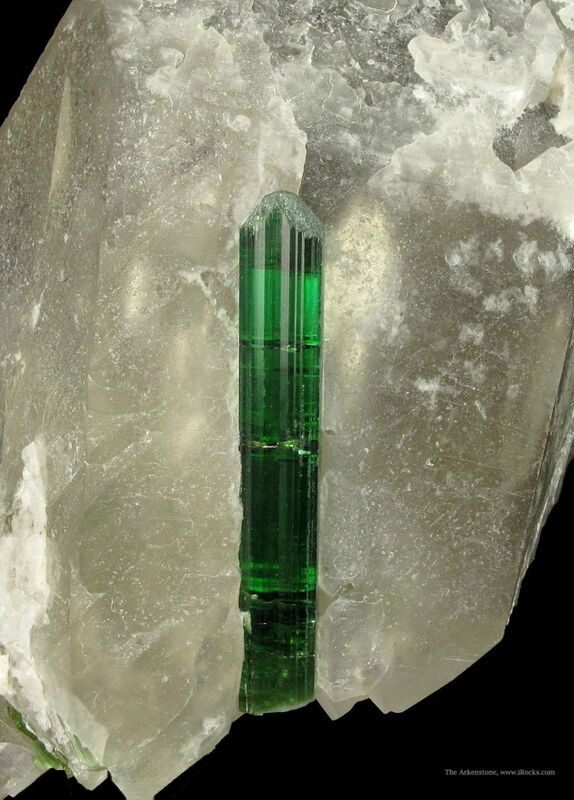 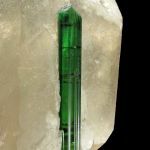 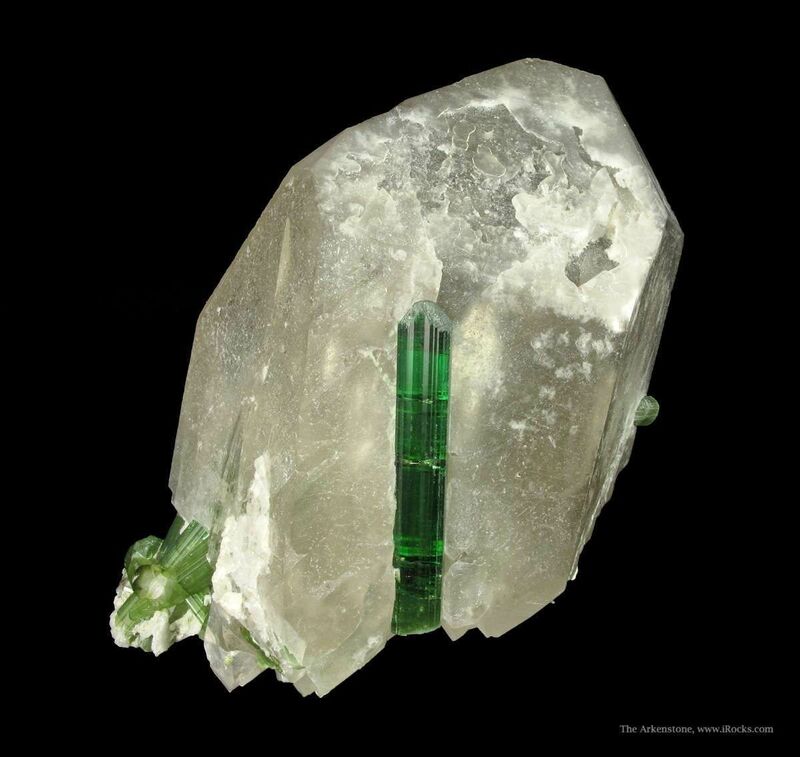 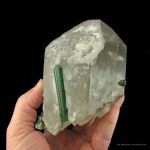 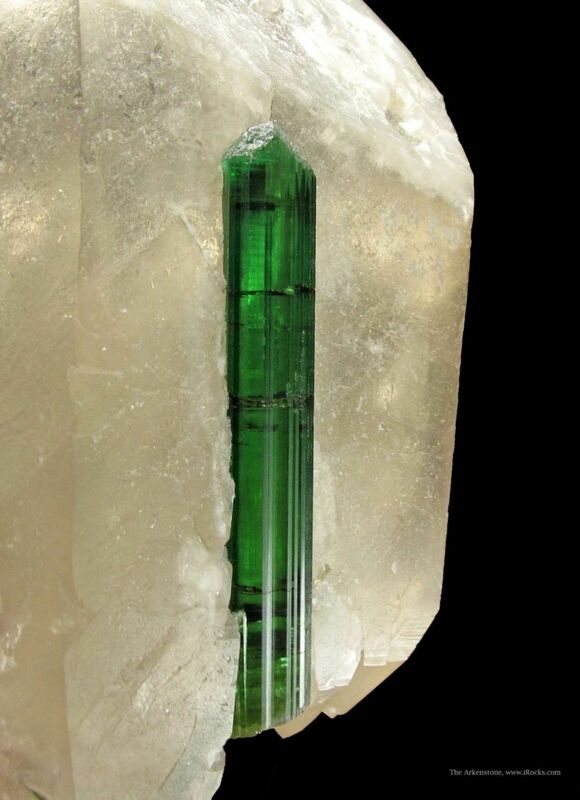 The centerpiece of this cabinet specimen from the famous Cruzeiro Mine of Brazil is a beautiful and gemmy Elbaite Tourmaline crystal that has an excellent, saturated green color. 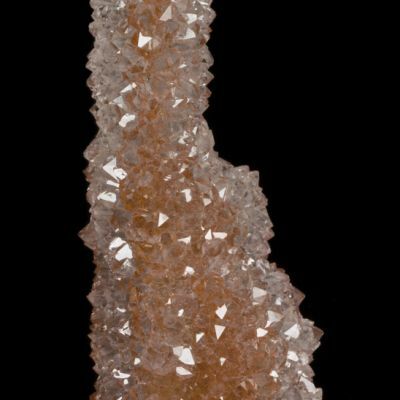 The luster on the prism faces is superb, with the termination having more of a matte finish. 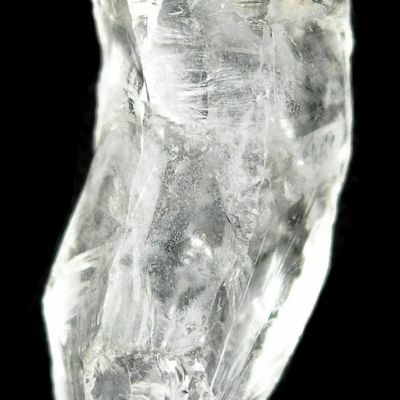 The bottom terminating is crudely terminated, but definitely terminated, making it a DT (Double-Termination). 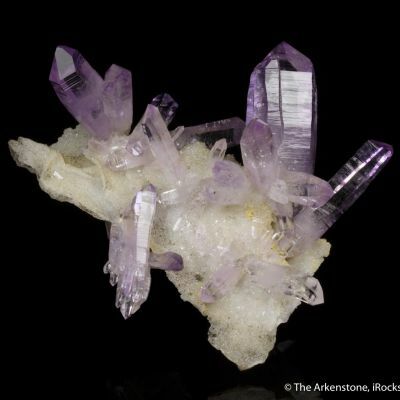 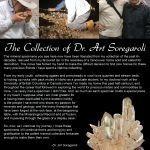 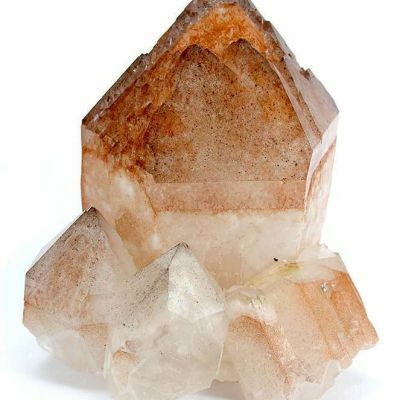 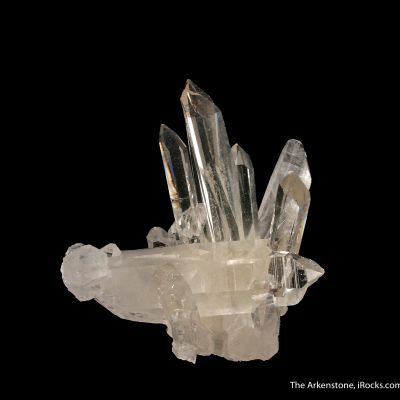 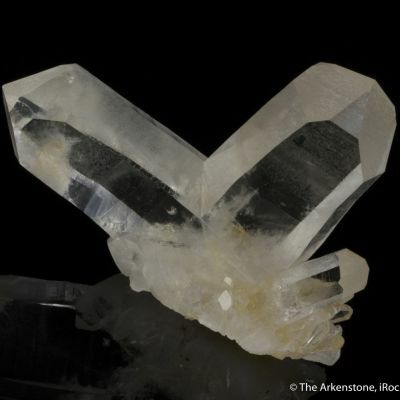 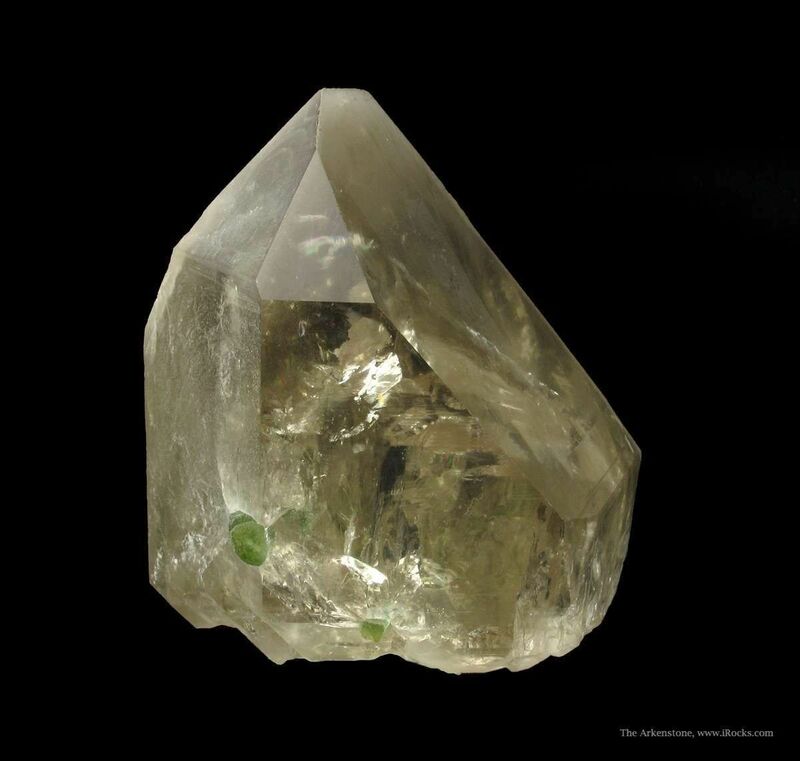 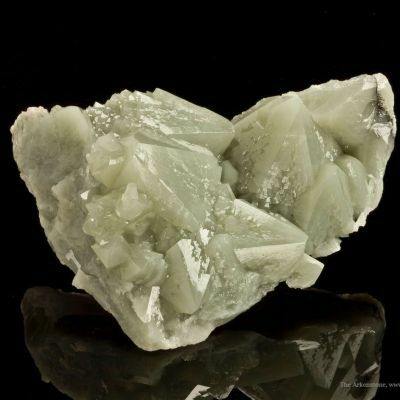 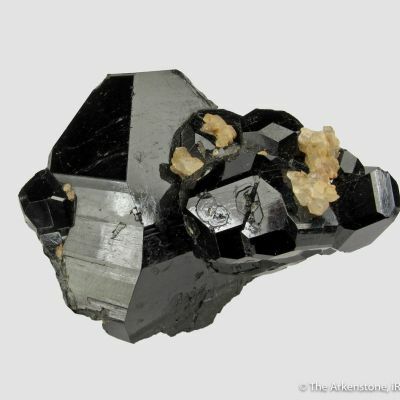 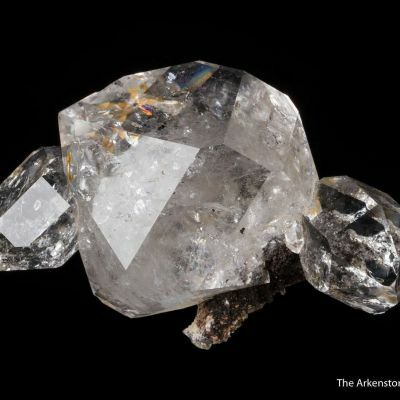 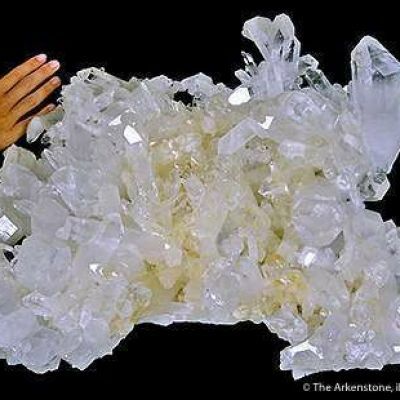 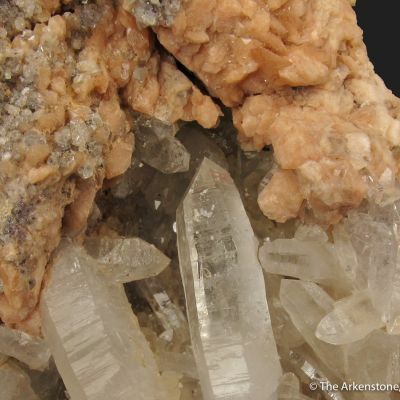 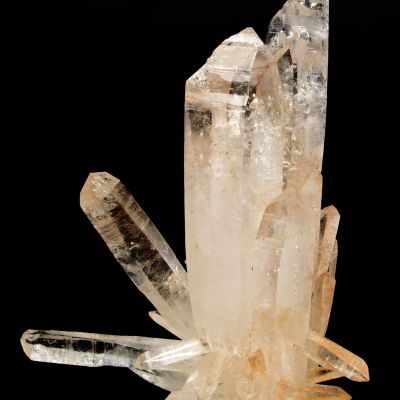 It sits on a sharp and complete Quartz crystal that is near totally gemmy, with one half being glassy and window-like and the other half being frosted and translucent. 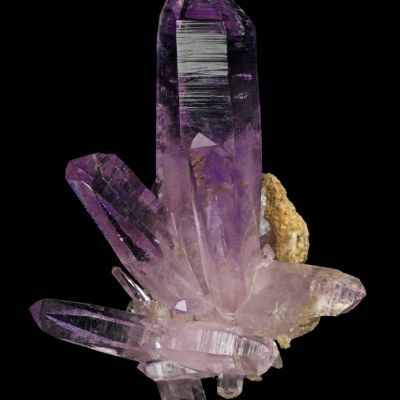 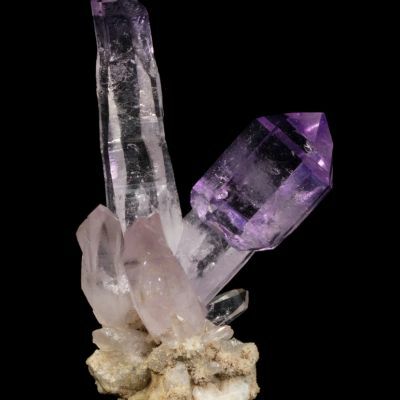 Sitting as the Elbaite does on this gemmy, doubly terminated Quartz crystal, the aesthetics of this combination are excellent. 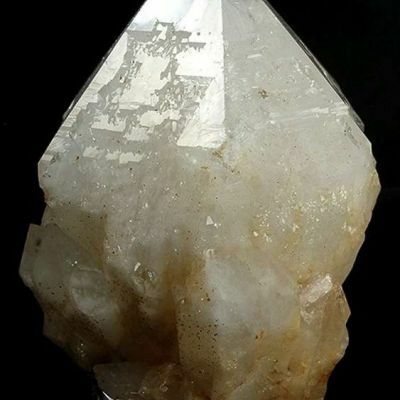 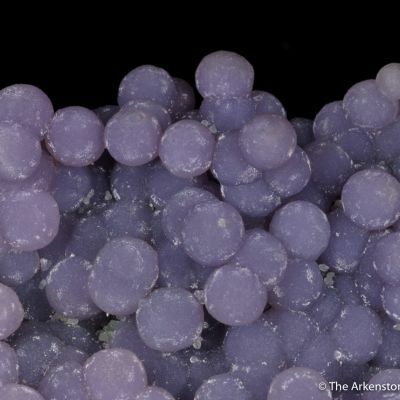 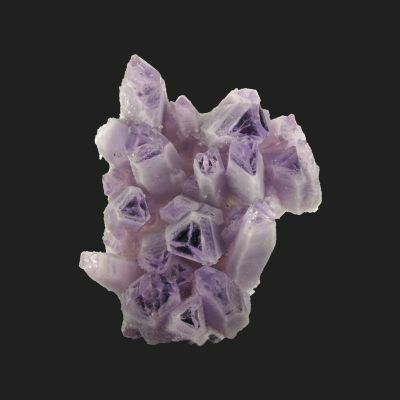 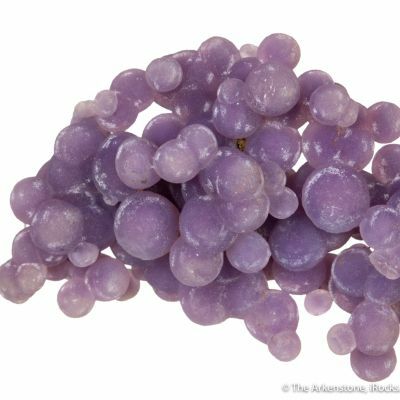 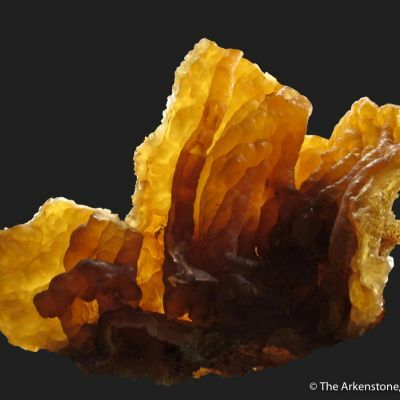 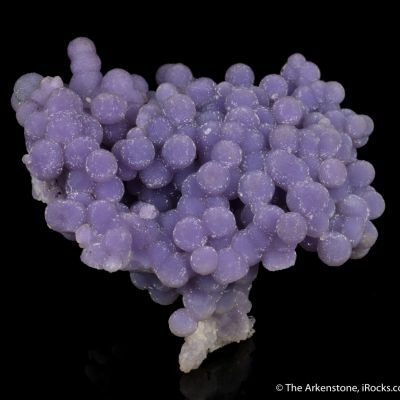 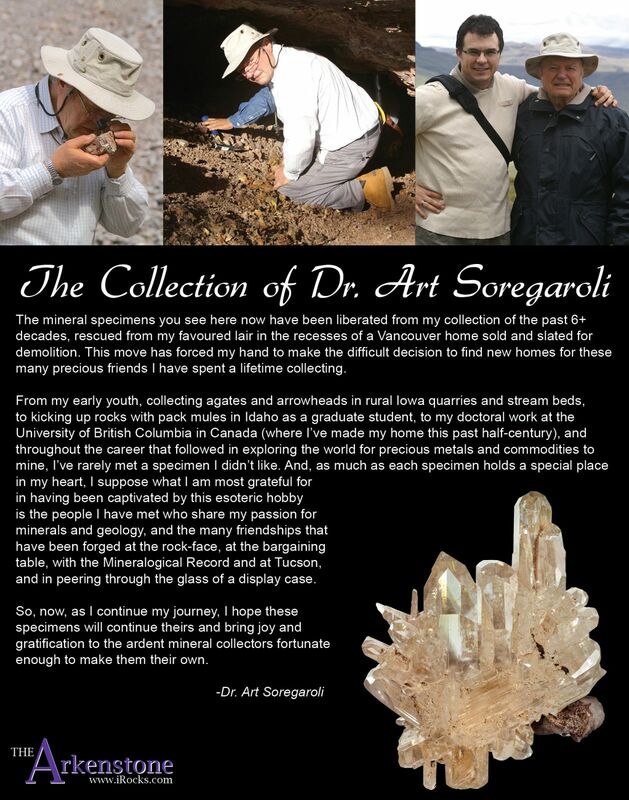 It is a floater, complete all around on both species' crystals, which is somewhat unusual!